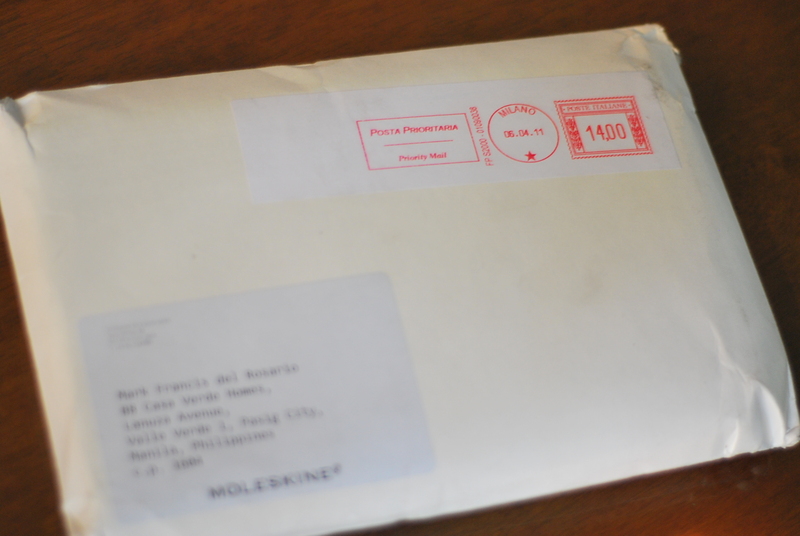 Well, I was just watching Paris, Je T’Aime and my mom suddenly gave me something she found on our doorsteps! 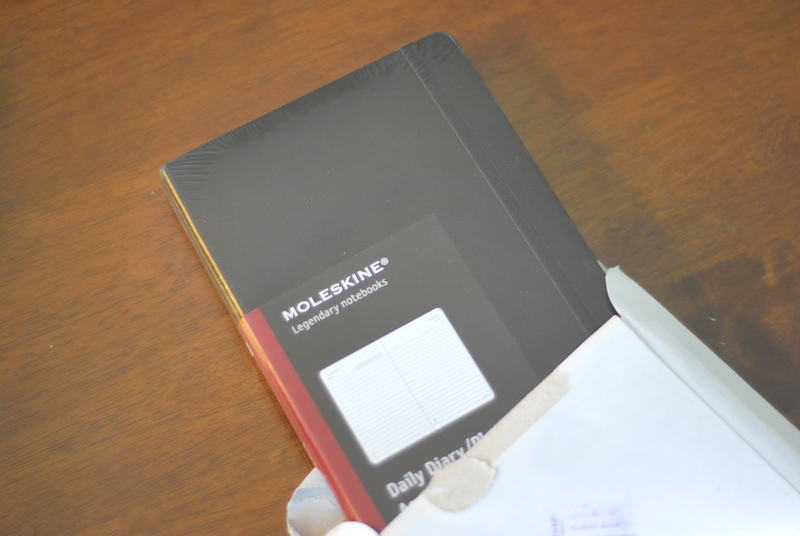 To our surprise, it’s a package from Moleskine straight from Milan! I am so amazed because the last e-mail I got from them was last April 04 and I thought they’ll contact me again for whatever arrangements. Guess they thought it’ll be better if they surprised me! And I was surprised! 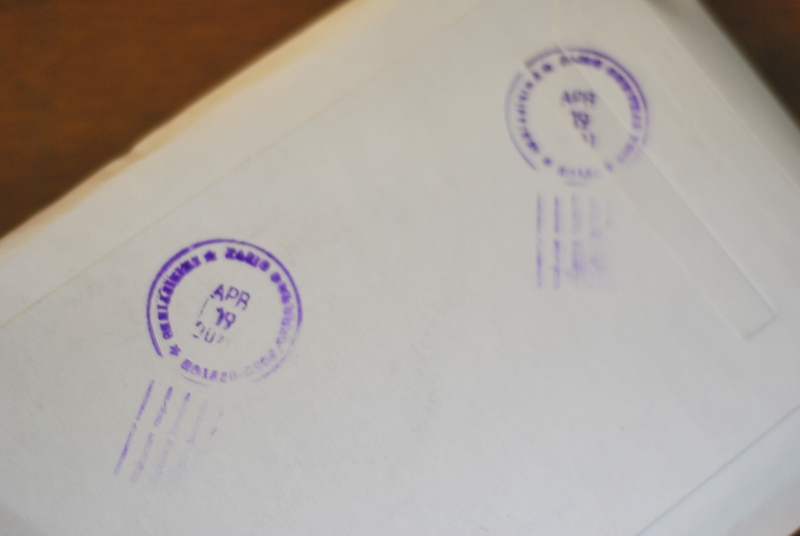 I guess the moment they sent me that e-mail, they went to the post office whatever and sent me the package! I’m just so happy right now. I can’t believe it. Haha! 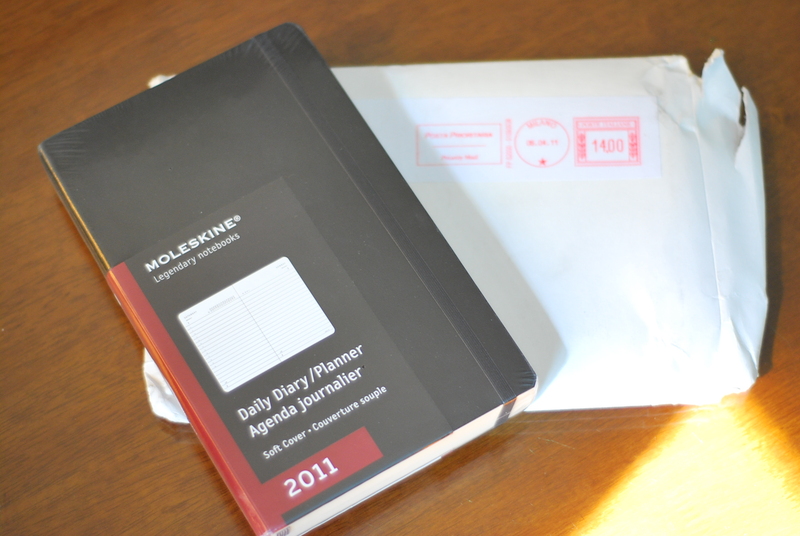 Thank you Moleskine! 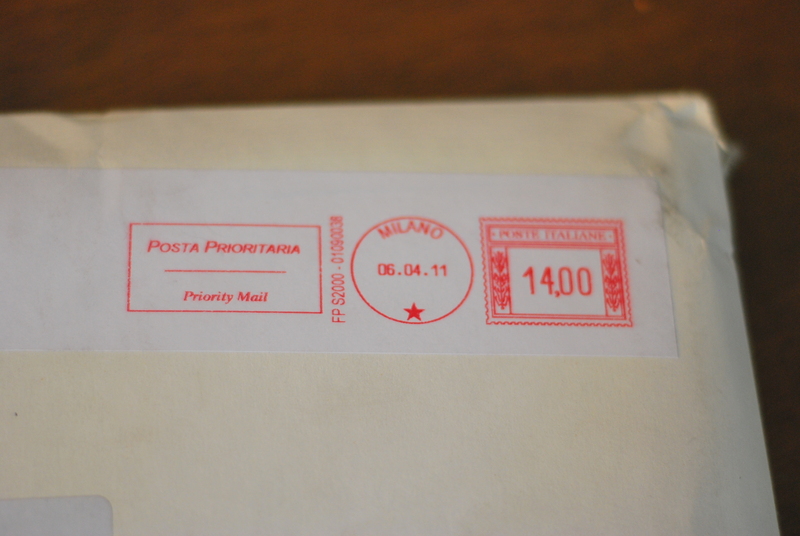 When I go to Italy, I should drop by and give some basket of love or something. haha! Now, what to do with 2 planners? I guess one can be a legit diary with colors and artsy fartsy and the other can be a planner x diary.